An automatic filter machine, or drip coffee maker, is the most widely used style of coffee maker, and one you’ll typically find in most workspaces, and many homes. 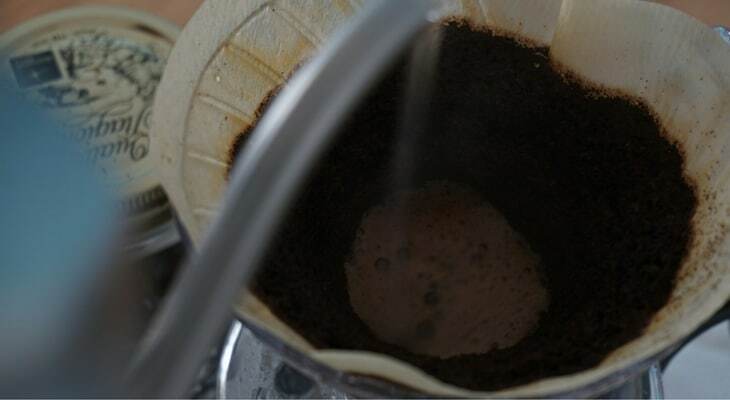 With a foolproof operation, no-fuss cleaning, and no complicated methods required, you can simply pop your coffee grinds in the filter, add water to the reservoir, switch the power on, and wait. Although these machines have been around for decades, they have stood the test of time, and are an ideal fit for a busy family or office, with the ability to automatically brew large batches of delicious coffee. Low maintenance and affordable, the reliable filter coffee machines are the favourite appliance of many coffee drinkers. 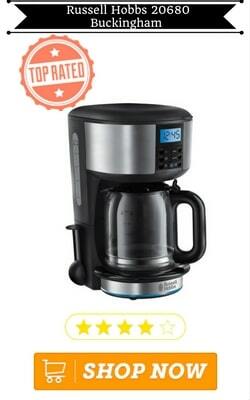 Check out the best filter coffee machine reviews below to discover the cream of the crop. This modern take on a timeless concept looks sleek and stylish and will update any kitchen. Unlike many filter models where water simply drips through the centre point of the ground coffee, the unique showerhead technology ensures that the hot water “showers” all of the grains contained in the filter. This technique results in fully flavoured, rich coffee, with less grind wastage. The Buckingham has a 1.25-litre jug and does away with the need for paper filters. An essential for any busy household or office, the 24-hour timer ensures that your coffee is hot and ready to go whenever you need it most. 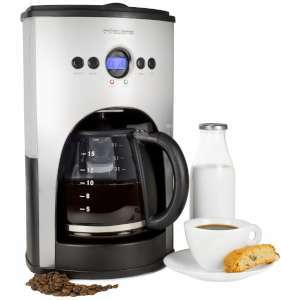 Available in snazzy silver or stylish black, and made of durable stainless steel, this appliance is first choice when it comes to the best drip coffee maker available. 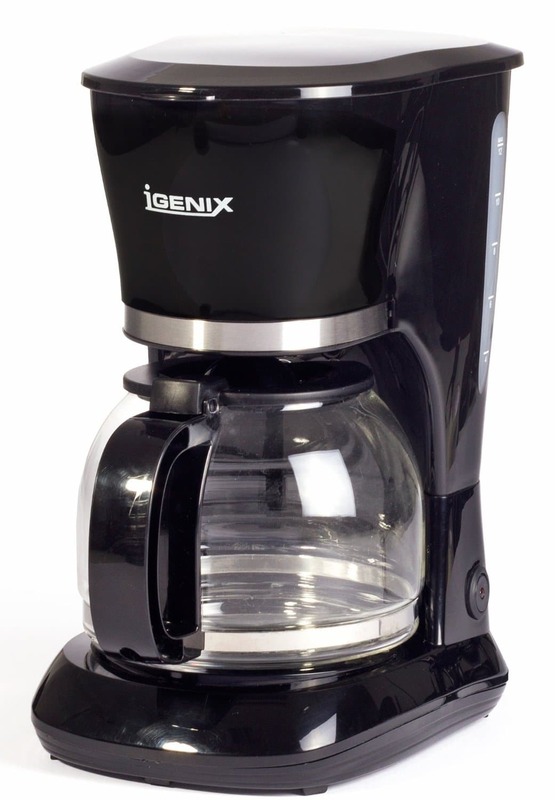 With a 10 cup, 1.5-litre capacity jug, the Igenix filter coffee maker is an affordable and convenient addition to the home or office. The jug itself is crafted from plastic, with modern stainless steel trimmings. There is no hassle or wastage with disposable paper filters, as this machine is fitted with a permanent filter. 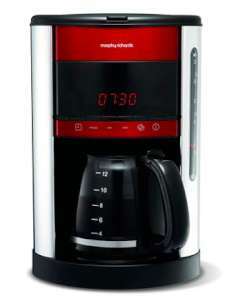 This fuss-free drip coffee maker has a number of useful features, including an anti-drip function, modern LCD display, a 40 minute keep warm function (any longer and the coffee won’t taste as fresh and delicious!) and auto shut off mode. 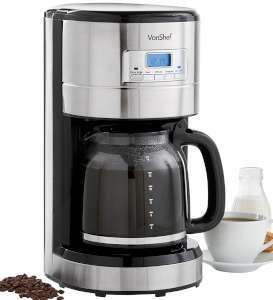 If you are after a straight-forward, simple to use filter coffee machine then look no further. Featuring a larger than usual 1.8-litre jug, this filter machine can produce 15 cups of coffee in one go: perfect for the larger office or family of coffee fiends! With an inbuilt reusable mesh filter, you will save money by not having to purchase the less eco-friendly paper filters. The two-hour timer is great so you can program the coffee to be ready for the 10am coffee break – no standing around waiting for your caffeine fix. The controls are easy to operate, and the warming plate will ensure your coffee stays toasty for up to 30 minutes. My favourite function included in this model is the timer feature, which allows you to set it to have your coffee fresh and ready to go as you roll out of bed or arrive at the office in the morning. There’s no messing around with this digital appliance – it has a fast brew function that can brew 12 cups of coffee in 10 minutes. As with the other machines on our best drip coffee maker list, there is no need to buy expensive disposable filters, as the permanent filter does a great job. The 30-minute warmer and anti-drip function are added bonuses to ensure this machine performs its job easily and tidily. The VonShef has received some of the great reviews from its satisfied customers, and for good reason. 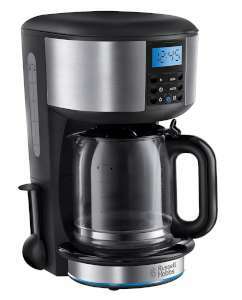 The 1.8-litre jug makes 14 cups of coffee, and the 24-hour timer means it can be ready any time of the day or night. With a crisp and strong stainless steel and black design, this machine is not only functional but pleasing to look at. 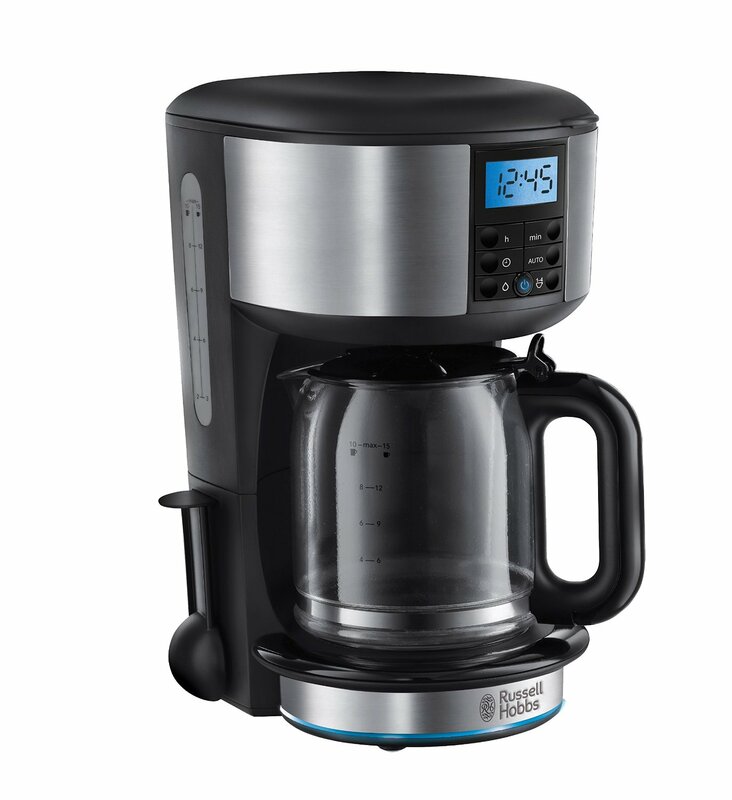 Along with being super easy to operate and clean, this drip coffee maker contains all the features expected of a high-quality appliance, such as a permanent washable filter, warming plate and automatic shut down. There is a confounding array of appliances available on the market in this category, but this selection of the best filter coffee machine reviews provides you with some direction on which one is the ultimate machine for your home or workspace. The beauty of a filter machine is that there is very little prep time required, you don’t even need to boil the water first – there are not many coffee makers out there with that level of convenience. If this sounds like something that would make your life easier, simply consider your capacity requirements, which features are a must-have (or which you can do without), and you’ll be well on your way to delicious, no-fuss coffee 24 hours a day.